Did you know that door hanger printing continues to be a great marketing tool? They can help explain various details about a business, event, product or service. It’s easy to stand out and get noticed with custom door hangers. 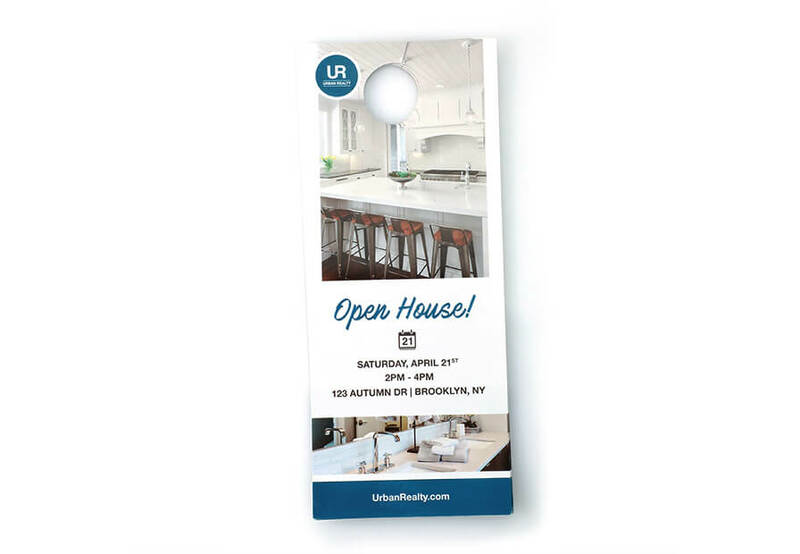 Our most economical solution, 100LB gloss book door hangers are printed full color on high-quality 100LB gloss book (text weight) stock. These custom door hangers are available in various dimension and die cut options including Starburst, Arch, and Standard. All die cuts can easily slide onto any door handle.